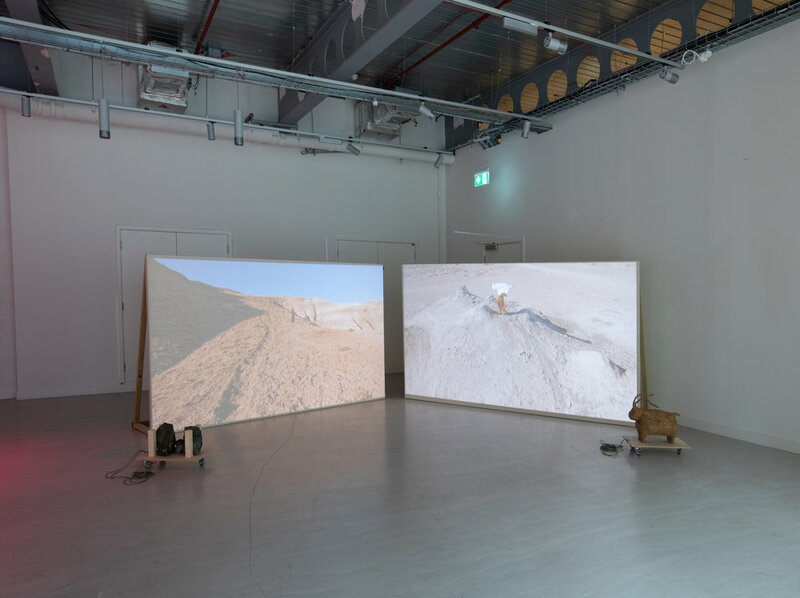 'Sisyphus in Retrograde’, curated by Aindrea Emelife and Gabriella Sonabend, presents the works of 5 contemporary artists whose practices reference ancient knowledge and incorporate the activation of sculpture through performance, kinetics and sound. 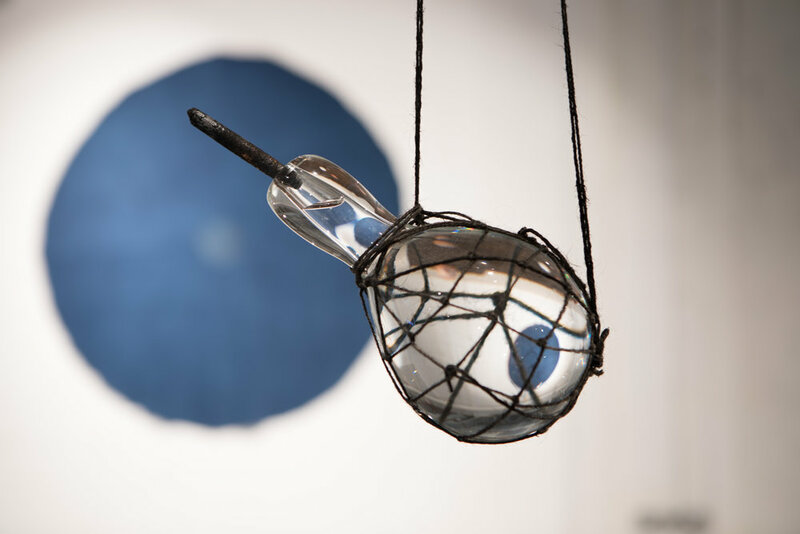 Questioning the symbolism of materials and forms, these artists are linked by their fascination with the ritual object, the point of tension before collapse and the transfiguration of physical forms through the activation of sound, movement and touch. 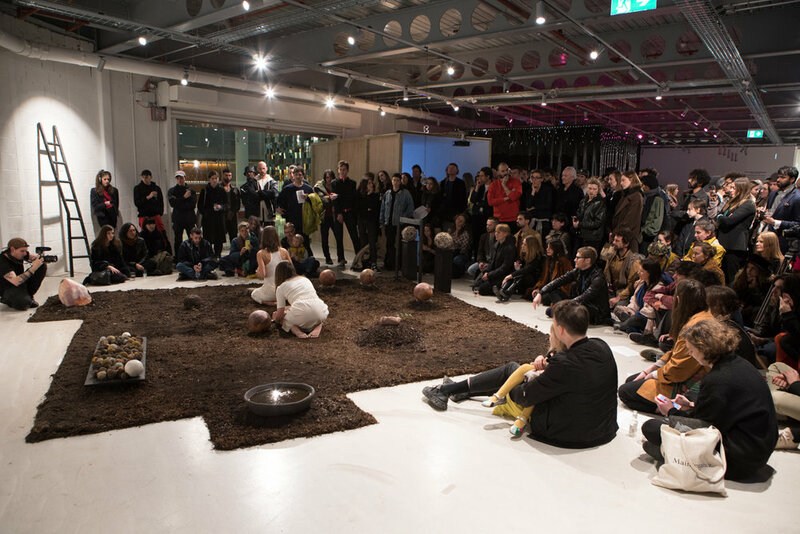 Together they pose questions about possible futures and sustainability within culture and environment. Exploring the limits of their materials, these artists use sensorial elements to play with the audiences expectations and to challenge our relationship to symbolism and form. Each has research based practices which cross the boundaries between art and science. Like Sisyphus eternally pushing his boulder uphill, these artists return repeatedly to their subject matter posing questions about how we can use ancient knowledge to develop sustainably in light of the imminent environmental crisis of the era of the anthrophocene. Perhaps posing another question, is human activity as the dominant force progressive, will we save ourselves, or are we in retrograde? For the opening of ‘Sisyphus In Retrograde’ artists Sol Bailey-Barker & Nissa Nishikawa present two new pieces of performance and sound. Curators Gabriella Sonabend and Aindrea Emelife will be giving a tour of the exhibition with guest artists Nissa Nishikawa and Sol Bailey-Barker. Sustainably sourced breakfast included. Email londoncuratorial@gmail.com to reserve tickets. Nissa Nishikawa presents The Familiar Earth/Tenko no Seishin a movement piece taking place within her new installation Den. Movements unveil the architecture of soil renewing objects while transforming the preliminary nature of a ceremonial tea room. With Isabella Nefar and soundscape by Delfina Muñoz de Toro. 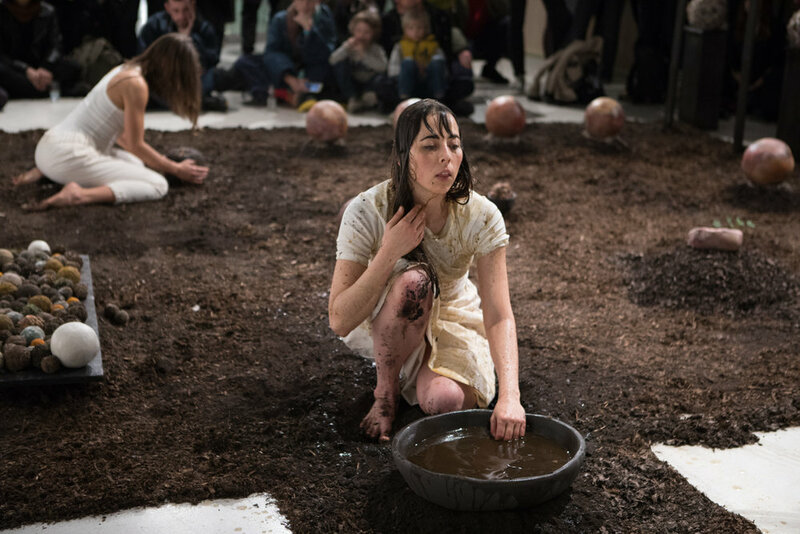 Nissa Nishikawa is a multi-media artist and dancer whose performances and works have been exhibited international at institutions including Camden Art Centre, Barbican Gallery, Wysing Arts Centre, Cafe Oto, The Kitchen (New York), The American Legation Museum (Tangier) and Jersey Opera House. Nishikawa studied Fine Art (BA)at Concordia University in Montreal, Stage Arts at Royal Academy of Dramatic Arts in London, Performance (MA) at Goldsmiths in London. She trained for 7 years in Japan with dancer Min Tanaka and continues the lineage of his work. Sol Bailey-Barker presents Hand Made Machines & Machine Made Hands an audio-visual performance piece using a web of sculptures, repurposed analogue technology, a revived organ, vocal loops and object-interventions. This piece is performed in the heart of his new installation, a glowing pink laboratory housing a series of kinetic and sonic-sculptures. The centre piece Biosphere For A Dead Leaf Mantis contains a full ecosystem with a praying mantis as the apex predator. The piece reflects on the rapid decline of insect populations globally. Hand Made Machines & Machine Made Hands includes a reading of a seminal text on Transhumanism, reflecting on the history of human augmentation through techology and the impact of this on the natural world. Sol Bailey-Barker is a multi-media artist working with sculpture and sound to create immersive installations exploring ideas around the evolution of technology. 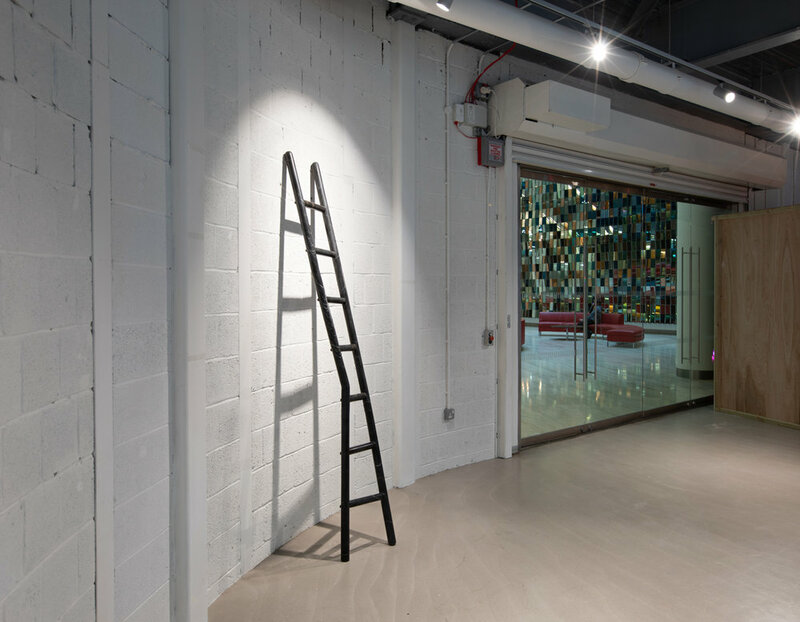 Bailey-Barker's works have been exhibited internationally including: Lugar a Dudas (Cali), Galeria Impakto (Lima), Greenlining Institute (Oakland) and Koppel Project (London). His sound-art has been aired on NTS & Resonance FM. The workshop held by Nissa Nishikawa focuses on diverse disciplines of meditation and dance. Movement and story, choreography and ritual weave with awareness, sensitivity and concentration aiming towards a full integration of mind and body in the immediate landscape. Gaining awareness of one’s possible processes of embodiment through collective work is key to the workshop activity. Observation and invention in this workshop aims at uniting body and mind fluidity while activating emergent somatic dimensional-access. A panel of artists, land-workers, climate change activists and scientists gather to discuss whether cultural output can have a tangible affect on activism or whether we need to entitely rethink our idea of culture in order to restore environments. The question of whether art can be an effective form of activism is centuries old but today we ask something more pragmatic, how can we learn to use creative resources affectively to influence systemic change. This talk is also an opportunity for experts to share insights into the current state of environment globally, helping us to understand both negative and positive developments. The conversation will explore the impact of new technologies, the role of government and corporations and institutions (from scientific to cultural). Colin Tudge, Sol Bailey-Barker, Nissa Nishikawa, Juliette Morgan, Extinction Rebellion & Gabriella Sonabend. Gabriella Sonabend the co-curator of 'Sisyphus in Retrograde' works on projects that link the arts directly with environmental causes and specifically those relating to the future of sustainable agriculture. Sol Bailey-Barker is a contemporary artist with a background in agriculture, forestry and bushcraft, his work examines the evolution of technologies in relation to human development. Juliette Morgan is Head of Campus for British Land, a leading voice in sustainable development and an active environmental campaigner. Extinction Rebellion is a socio-political movement intending to utilise nonviolent resistance in order to avert climate breakdown, halt biodiversity loss, and minimise the risk of human extinction and ecological collapse. Colin Tudge is a world renowned British science writer and broadcaster. A biologist by training, he is the author of numerous works on food, agriculture, genetics, and species diversity. Daniel Hudson is an environmentalist and entrepreneur developing new systems of reforestation and carbon negative energy supplies. The Portion – a three part meal, talk and open discussion, will explore norms and normativity, asking the questions: how much is too much, how little is too little, who sets the norms and how have these changed over time? This collaborative dinner experience will be looking at topics such as food shortage, rationing, demand and supply, dieting, religious rites and fasting, over consumption, dietary changes due to environmental issues and government enforced food regulations. Participants will be invited to collaborate in making their meals by trading, bartering and exchanging components of the meal with their fellow diners in order to create their suppers. The menu for this meal will look to ancestral traditions in vernacular Western cuisines – to our grandmothers who could make five meals from one chicken. 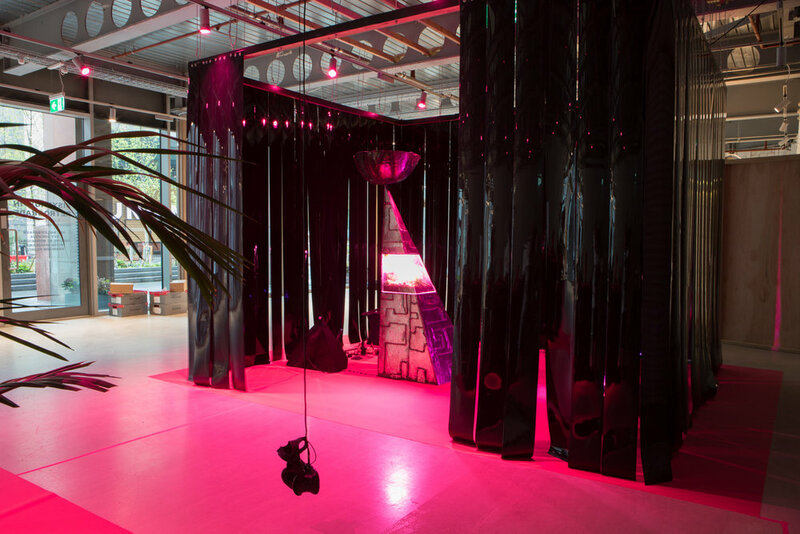 For the final day of ‘Sisyphus In Retrograde’ artists Sol Bailey-Barker, Evy Jokhova & Harrison Pearce will be at the exhibition talking about their installations.